Great news for the Catholics of South America! This July Pope Francis, the current head of the Catholic Church, is going to visit three different countries in South America. 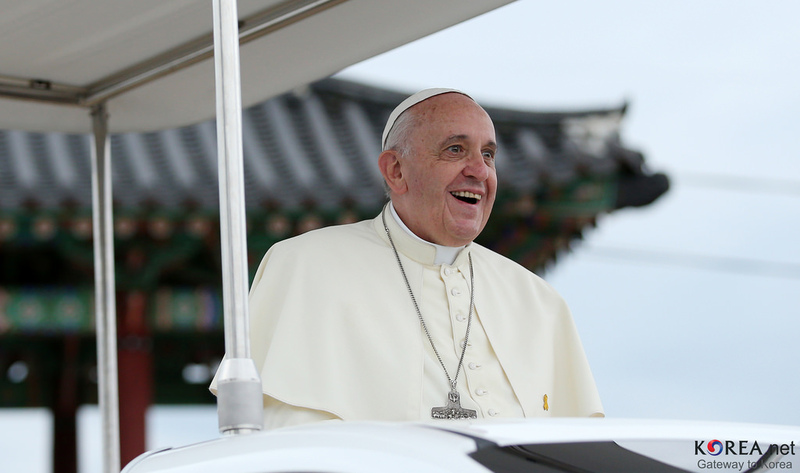 It is the Pope’s first apostolic trip to the countries and it will take place between July 5 and 12 2015. The countries of Paraguay, Bolivia and Ecuador are going to be honored by this visit and surely tens if not hundreds of thousands of people will be on the streets to catch a glimpse of His Holiness. If you would like to travel to South America, for the visit of His Holiness, you might like to know the program of his trip. So we bring you detailed information about where Pope Francis will go and what he will do in Paraguay. The first country he will visit is Ecuador, then Bolivia and last, but not least, Paraguay. The Pope will depart from Fiumicino airport in Rome on July 5 and will arrive to the capital of Ecuador, Quito at 3 PM. After the welcome ceremony he will celebrate a mass in Guayaquil and pay a visit to the president of the country. 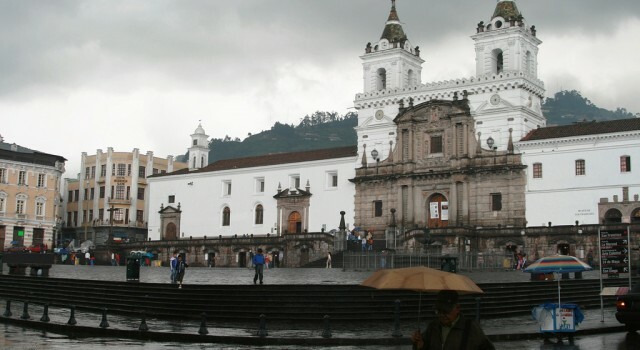 He will visit the Cathedral of Quito and on July 7 will meet with the bishops of Ecuador at the Bicentenary Park’s Congress Center. 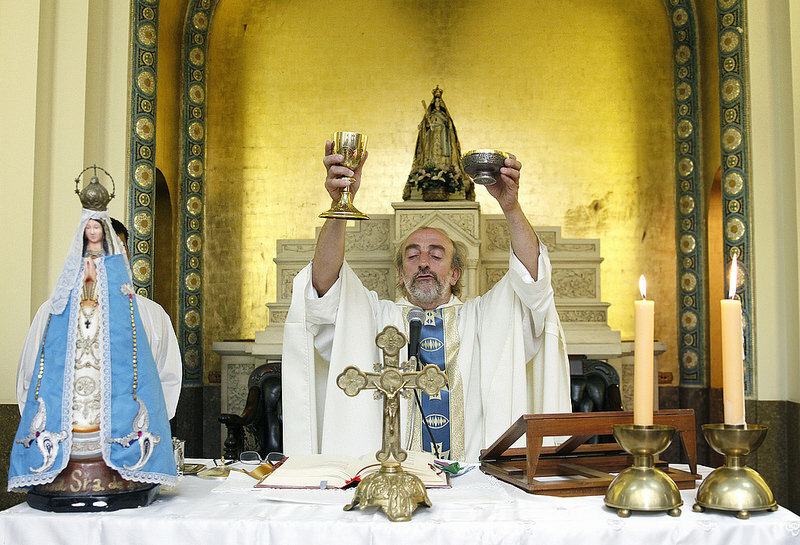 He will also celebrate a mass here. His Holiness will meet with a group from the Pontifical University of Ecuador and a civil group. After a private visit to the Iglesia de la Compania he will go to the Rest Home of the Missionaries of Charity and spend a short time with clergymen and women before he departs to Bolivia. Pope Francis will arrive to El Alto airport in the capital city of La Paz on July 8. After a reception ceremony and the address he gives, the Pope will got to the Government Palace for a meeting with the president. Then he will meet with civil authorities at the Cathedral of La Paz and travel on to Santa Cruz de la Sierra. The following day the His Holiness will celebrate a mass on the Cristo Redentor square in the city. He will go to the Don Bosco school to meet with religious men and women then spend some time at the Expo trade center and participate in the World Meeting of Popular Movements there. On July 10 he will start the day by v\going to the Santa Cruz – Palmasola re-education center and then meet with the bishops of the country at the parish church of the city. He will depart from Bolivia from the Viru Viru airport. The aircraft of His Holiness will arrive to Silvio Pettirossi International Airport (ASU) in Asuncion on July 10 at 3 PM, local time. After his arrival, Pope Francis will go to the Palacio de los Lopez where he will meet Horacio Cartes, the president of Paraguay and other diplomats and representatives of the authorities. The next morning, on Saturday, believers can see him at the Ninos de Acosta Nu general pediatric hospital, in San Lorenzo, where he will be visiting the children and the staff. After the visit to the hospital, Pope Francis will travel to Caacupe city, where he will officiate a mass on the square of the Marian sanctuary. Later that day he will go to the San Jose school, where he will meet a group of civil representatives in the school’s Leon Condou stadium. In the evening the Pope will celebrate vespers in the Cathedral of Our Lady of Asuncion in the company of Paraguay’s bishops, deacons, priests, men and women religious and Catholic movements. On the 12th of July, on Sunday, the Holy Father will pay a visit to the Botanico, a neighborhood of Asuncion also known as Banado Norte. 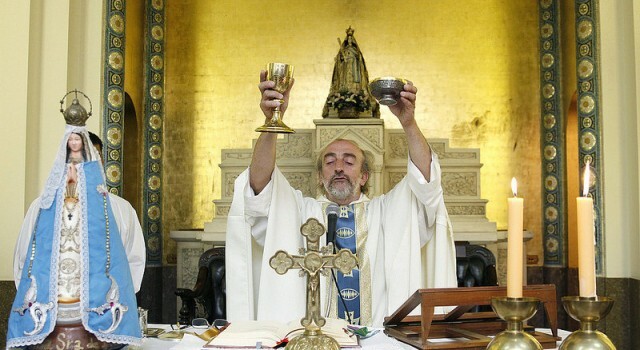 There he will meet the people at the Chapel of San Juan Batista and then officiate a mass on the Nu Guazu field. 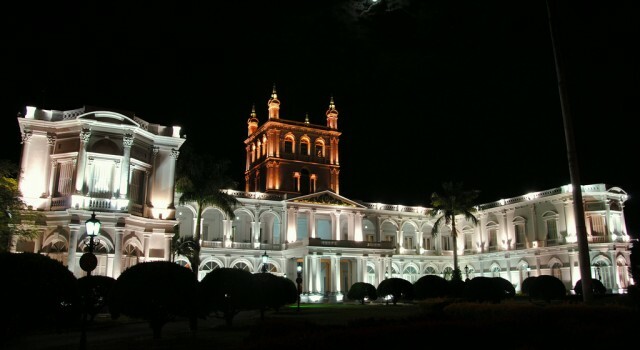 His Holiness will meet the bishops of Paraguay and dine with them at the apostolic nunciature, in its Cultural Center. 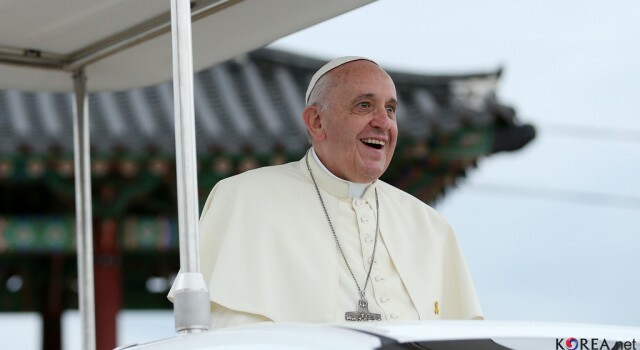 As a conclusion of his visit to Paraguay, and South America, Pope Francis will travel to the Costanera riverside area where he will meet and talk with young people. The Holy Father will depart from Paraguay at 7 PM on Sunday and will arrive back to Rome at 1:45 PM, local time, on July 13, Monday. The program of the Holy Father will include some notable and beautiful places in Paraguay. First he will arrive to Asuncion, the capital of Paraguay, to Silvio Pettirosi Airport, the largest international airport in the country. Palacio de los Lopez, the workplace of the country’s president is one of the most prestigious buildings in the capital. This beautiful palace also serves as the seat of the government of the country. 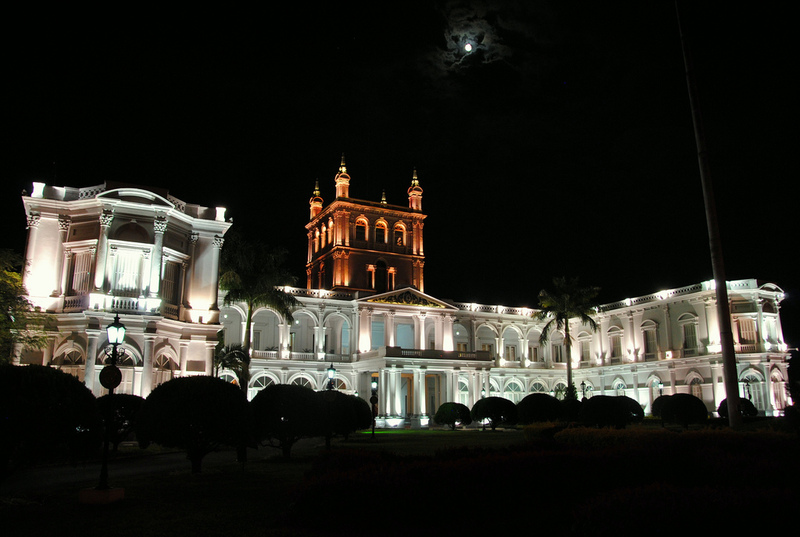 Its name comes from the name of Carlos Antonio Lopez, former president of Paraguay who ordered the building of the palace, than destined to be the residence of his son, the General Francisco Solano Lopez. Architect Alonso Taylor started the work in 1857 and materials necessary for the construction were brought from all over the country. Today Palacio de los Lopez is surrounded by beautifully manicured gardens and offers a beautiful view over the bay. The Ninos de Acosta Nu hospital may not be among the famous landmarks of the city, but it is a great pediatric hospital that is located in San Lorenzo. The city is located in the central area of Paraguay and is a suburb of the capital, Asuncion. The most notable sites of San Lorenzo are the campus of the National University of Asuncion and the center of the Roman Catholic Diocese of San Lorenzo – that is why the Pope will visit the city. Caacupe is the capital of the Cordillera department of Paraguay and has got numerous places that are worth a visit. The city’s Cathedral gives home to the Virgin of Caacupe which attracts numerous pilgrims throughout the year, but especially the religious festival that is organized every year on the 8th of December. The Virgin of Caacupe is called Our Lady of the Miracles and and its a 16th century small statue. This Virgin was not only saved miraculously from a great flood, but according the the church, many miracles can be linked to it ever since. Hundreds of thousands arrive the festival every year, but in general the city is a quite place. It has an amusement park as well and it can be a great destination for a quite holiday on the country. There are several hotels and inns you can stay in an some nice restaurants where you can get to know the local cuisine. The basilica in the city center is very impressive and, though it was built in the 1980s, it is pretty. You must also go to the top for a stunning view over the area and you will also enjoy the images on the walls with scenes from the Bible, while you climb the stairs. 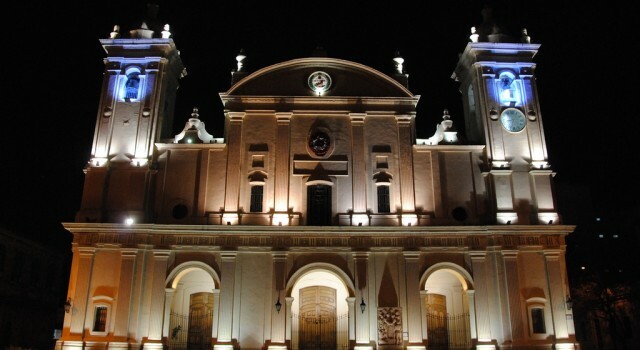 Pope Francis will also visit the Cathedral of Our Lady of Asuncion (Catedral de Nuestra Senora de la Asuncion), one of the most beautiful sites in the city. 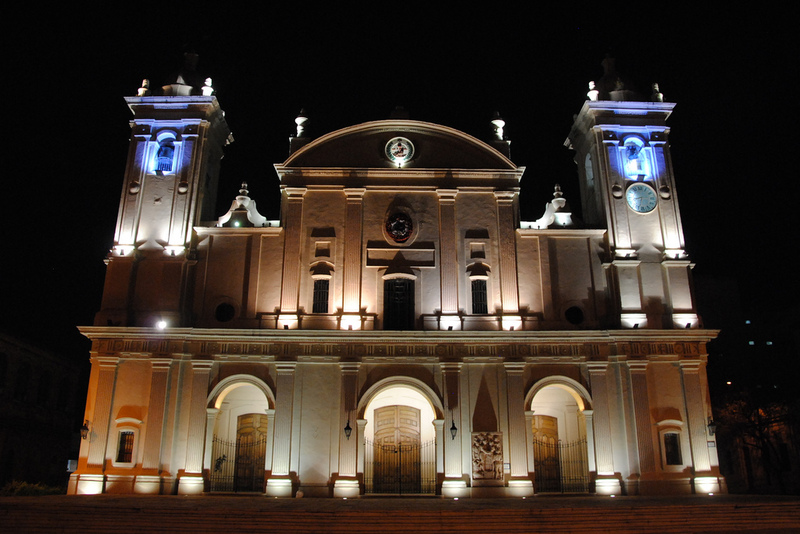 It is the seat of the Archdiocese of Asuncion and part of it date back to the late 17th century. On the inside you can see a large gilded altar and many statues and paintings from the 18th and 19th century. 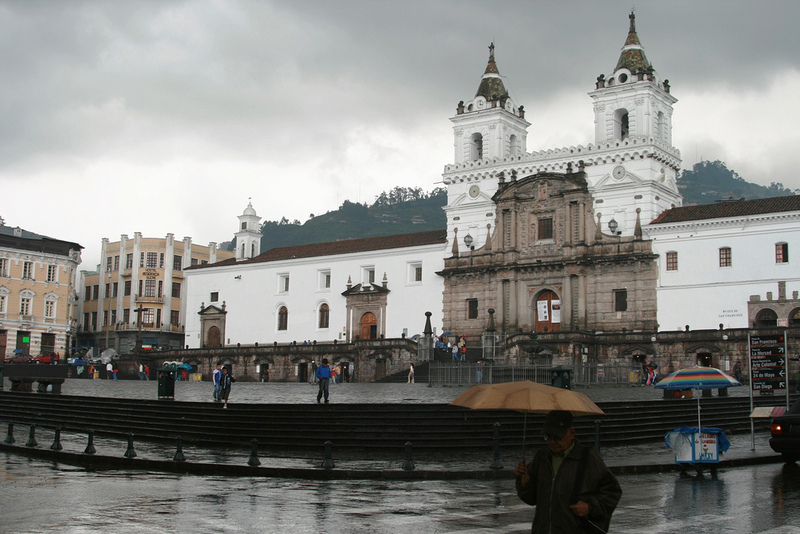 The cathedral is located on Plaza Independencia and can be visited for free every day between 9 and 11:30 AM and 8 to 8 PM. Botanico, also known as Banado Norte, is a neighborhood (in Spanish ‘barrio’) in Asuncion. Its name comes from the Botanical and Zoological Garden of Asuncion that occupies a large part of the area. The Gardens make a beautiful afternoon trip destination with the lush vegetation and many exotic animals they give home to. The History Museum is located within the Botanical garden and showcases many artifacts from the history of Paraguay. he building was also the rsidence of Don Carlos Antonio Lopez, former president of the country. Other notable sites include La Escuela Solar de Artiguas and la Iglesia Santisima Trinidad. Costanera is the new riverside promenade of Asuncion. It provides visitors with a unique and beautiful view over the river and the city. The promenade is close to the city center (microcentro) and all of its bars, restaurants and cinemas. Costanera is great for a romantic walk as well as a short family trip within the city with kids. 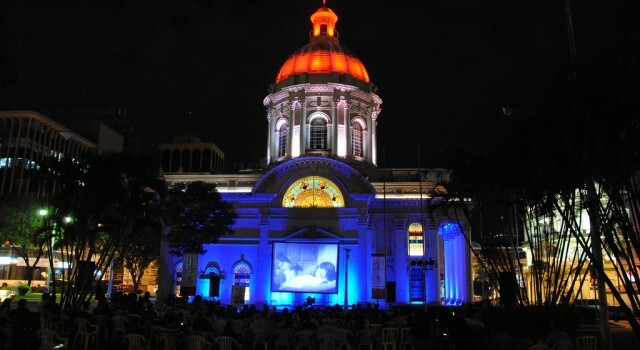 The capital, Asuncion has got many worthy attractions for history buffs, couples and families as well. 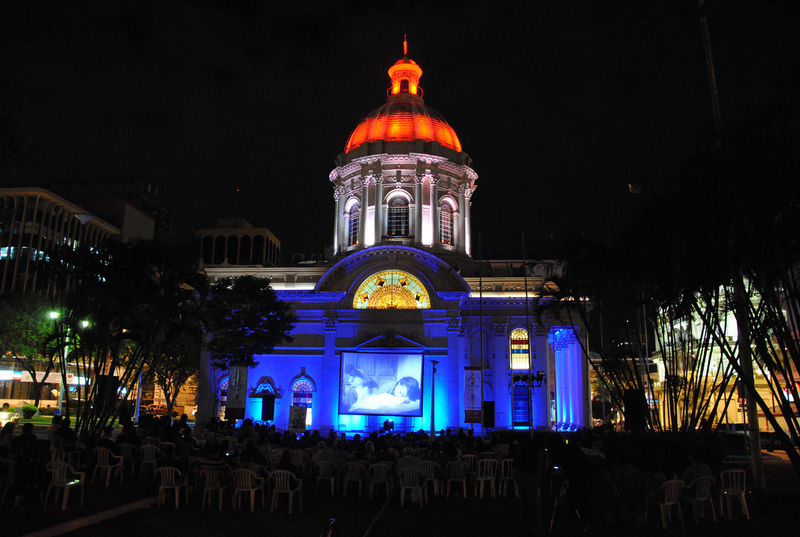 You have to visit Casa de la Independencia, one of the most beautiful buildings in the city. It was constructed in 1774 by the Spanish and is a reminder of the struggles of the people in the country. This is from where the revolt against the Spanish started that led to the independence of Paraguay and it is also a museum today that can be visited for free. Casa de los Diputados is another site you should visit in Paraguay. It is not only an architectural masterpiece, but also a cultural center with much to see. It used to be a military college built in typical Spanish colonial style. Members of the congress have a several offices in the building, but it can be visited by anyone for free. Those who love arts, will really appreciate the Centro Cultural de Artes that displays Paraguayan art from the early colonial times to the 20th century Avant Garde period. You can roam the rooms and discover how the historical periods and different events have influenced art in the country. The Panteon National de los Heroes (National Pantheon of Heroes) is another great place to get to know the history and culture of Paraguay better. It is an actual square with different relics from the previous centuries, it is really beautiful. Every morning, as the sun rises, the square starts to fill with the open stalls of Guarani vendors. You can buy amazing Paraguayan art here. The traditional items they sell include ceramics, head dresses, clothing, bows and a lot more. You will also find here herbal medicines and hawkers with all sorts of ‘miracle’ products. The stalls only close at sundown. Another interesting program could be the Flea Market along Palma road (calle Palma). It takes place on every Sunday in Asuncion and you can buy here antiquities, books and different objects from the tables set up usually by old men. It is a great opportunity for some bargain shopping and you may find real treasures. Away from the crowds and business of the capital, you can spend near the beautiful Iguazu Falls, one of the most beautiful natural attractions in South America. This UNESCO World Heritage Site is located at the border of Brazilia, Argentina and Paraguay and it is a breathtaking site as the massive amount of water pours down through the lush vegetation. There are several hotels surrounding Iguazu Falls in all three countries and for all budgets, so you can easily spend a day or two here admiring the view. The noise is nearly deafening, so you better take care of your ears. Start searching for travel deals to Paraguay right now. If you compare the prices of some providers in the box, you can easily find the cheapest flights, hotels and vacations in the country. Just enter your travel details and give it a try.